Stables & Cell phones: Is horse racing keeping up in a smartphone world? For centuries, horse racing has remained a staple throughout the UK and Ireland. Really, it’s never been easier to get into horse racing. Here on the PhoneMore blog, we’ve covered plenty of gaming sectors. From console games to casino games, we’re interested in how all genres are able to keep up with mobile technology in this modern world. However, there is one fringe sector of the gaming world that we are yet to touch on: horse racing. For centuries, horse racing has remained a staple throughout the UK and Ireland. There are loyal bettors who like to have a flutter on every horse race that happens and casual bettors who enjoy the thrill of getting involved every so often. These bettors can give involved via multiple platforms, from traditional betting shops to online sportsbooks. Really, it’s never been easier to get into horse racing. 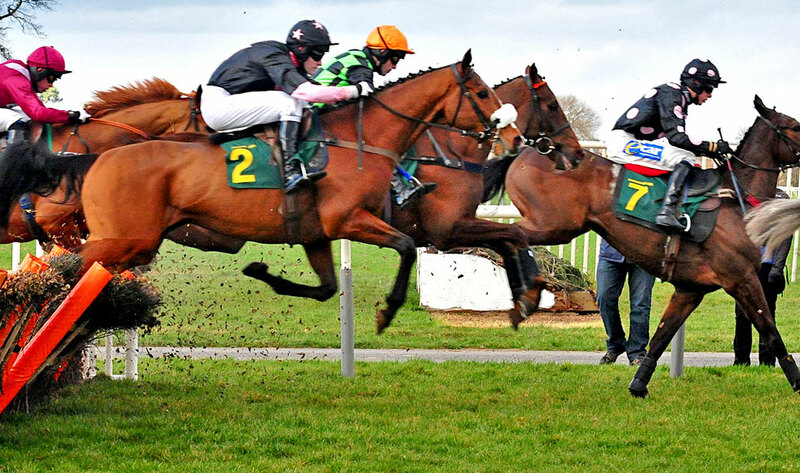 Even the likes of football and cricket cannot outpace horse racing when it comes to betting, with millions of people betting on the Cheltenham Festival, the Grand National, Glorious Goodwood and other racing events. According to Statista, in 2018 alone annual turnover for off-course horse racing bets throughout Great Britain surpassed £4.3 billion. Clearly, horse racing isn’t going anywhere. Otherwise known as the “Sport of Kings”, it has been a popular pastime throughout our island nation since the 17th Century when the rules were first put in place. We can even trace all of today’s thoroughbreds back to three stallions - the Byerly Turk, the Godolphin Arabian and the Darley Arabian. And the oldest of the so-called "Five Classics", still being run today, dates back as far as 1776. But can an ancient pastime like horse racing truly find its place in this modern era? It would seem so. Internet browsers have been available on smartphones for well over a decade now, but it wasn't so long ago that bettors were worrying horse racing wouldn’t be able to adapt to the new technology. After all, sportsbooks can be quite large and translating all that data into a handheld, significantly smaller screen would be a challenge. Fortunately, online sportsbooks platforms soon evolved to include much more user-friendly interfaces for mobiles, and once apps began to appear it was clear that horse race betting wasn’t going to fall behind. In fact, by 2017, all fears of horse racing not reaching the mobile mark disappeared thanks to the evolution of in-play betting. Also known as live betting, it allows bettors to place wagers while a horse race is already underway. Though in-play betting had been an option at betting shops and over the phone for years, it was in 2017 that online bookies really began to roll it out for their customers. It completely changed the game, allowing bettors to place bets from anywhere and at any time before the race ended, via their mobile phones. Now, many successful online bookmakers allow in-play betting online and on their mobile apps. These apps are often very successful, as they allow punters to instantly access their accounts and data, without having to boot up their smartphone’s mobile browser. Thanks to in-play betting being harnessed on mobile, horse racing has been able to continue growing, adapting in a world of smartphones and apps. With this in mind, we have no doubt that horse racing will continue to thrive and remain one of the UK’s favourite pastimes.